This autumnal entrée takes everything you thought you knew about apple pie and throws it out the window. There’s no cinnamon, no nutmeg, no sprinkling of turbinado sugar to make for a caramelized crust. Instead, we’re taking onions, thyme, and sautéed chicken and sealing them in a flaky, buttery, made-from-scratch dough. 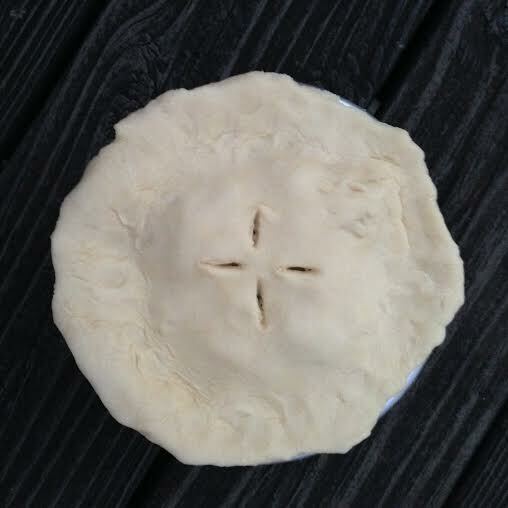 I pressed the dough into a 6-inch cake pan in lieu of a pie tin, because I was only making it for three people. Honestly, it’s probably the same amount of crust and filling, but the smaller diameter makes the pie feel more acceptable to eat in one sitting. High-quality cheddar adds another dimension to the crust. Pack in as much filling as possible, then drizzle the pan juices over it for added flavor. 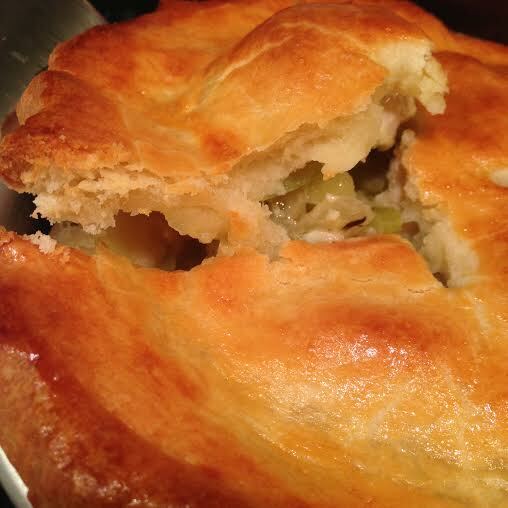 Make sure to cut slits in the top for ventilation, and then douse the whole thing with egg wash.
Make this pie and eat it straight out of the pan while you watch old footage of the Macy’s Day Parade! It’s almost Thanksgiving! Cut the chicken breasts in half horizontally, butterflying them. Heat the oil in a skillet over medium heat, and add the onion and celery. Cook for a few minutes, then add the apple and thyme. Cook until the apple softens, a few more minutes. Add the chicken, making sure that it comes into contact with the bottom of the pan (you don’t want it lying on top of the vegetables). Flip them once they have lightly browned on one side. Gradually add the chicken broth, and simmer the mixture until the chicken has cooked through and the broth has thickened. 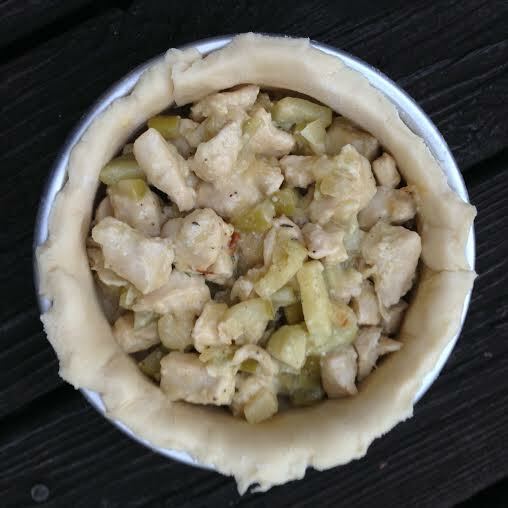 Remove from heat and stir in the cornstarch and 1/4 cup of the cheese. Preheat oven to 400°. 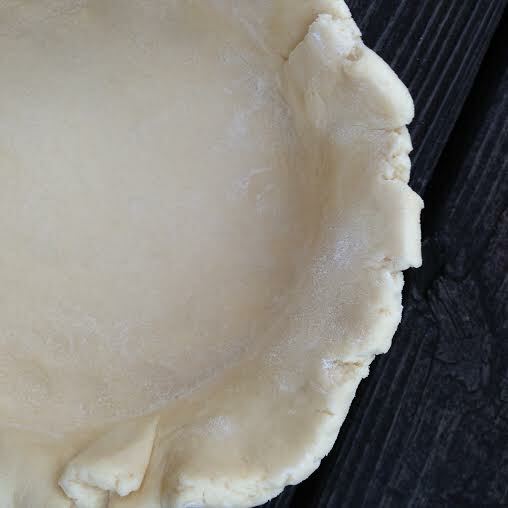 Butter a 6-inch cake pan (or a regular pie tin) and press in the bottom crust. 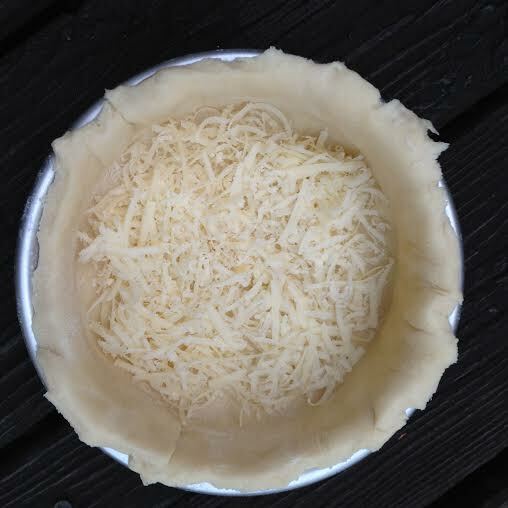 Sprinkle with the remaining 1/2 cup cheese, then pile on as much filling as possible. 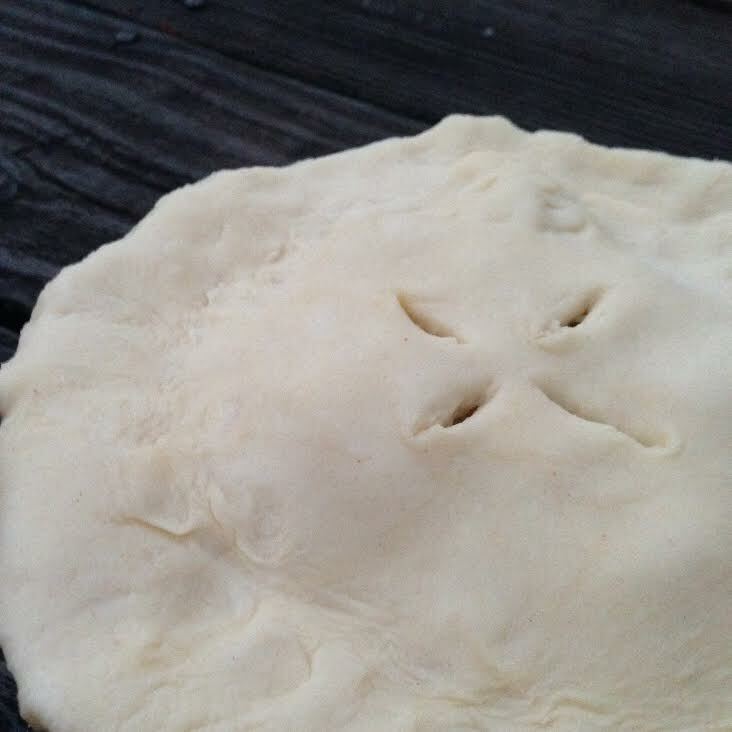 Secure the top crust over it, cut slits for ventilation, then brush heavily with egg wash. Bake for 45 minutes, covering halfway through with aluminum foil if the crust gets too brown. Let it cool for at least half an hour. This pie tastes even better the next day!